These days, young women and children are being trafficked and used for different types of prostitution. Once involved they cannot come out of the clutches of Traffickers.They are transported to different places for making money.The news of trafficking continued from many years, though Police are trying their best to combat it, leaked in the Social Media recently.The religious places are the targets for the Traffickers , as there will be floating population from different regions coming to those areas. 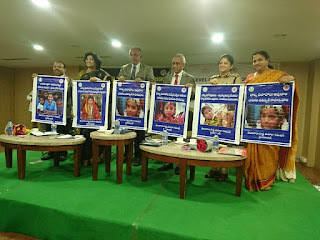 In the situation, Tharuni along with the British Deputy High Commission and the Rachakonda Police coordinated a Project to help people in Yadadri and Bhuvanagiri towns to fight against human trafficking. In Bhongir, on 18th September 2018, there was a workshop conducted for the She Teams. 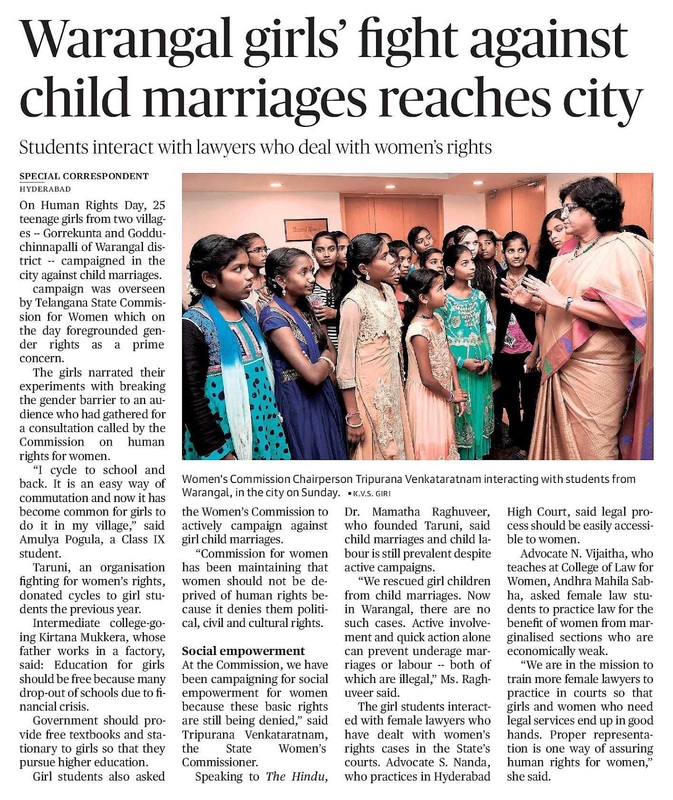 Tharuni along with the British Deputy High Commission and the Rachakonda Police organized this event to take place, to enlighten the She Teams to learn and then teach other communities including colleges and schools, on how to deal with Human Trafficking. The She Teams have been sensitized themselves through this workshop. After this She Teams sensitised more than 20,000 students in colleges and schools in the Yadadri district. Tharuni also organized another Meeting on 1st October 2018 in Bhongir itself. This was to train the Police cultural teams members, about Human Trafficking. After training, the police cultural troupe could Sensitise 5000 people on combating Human Trafficking. Also on 1st October 2018, Tharuni along with the British Deputy High Commission and the Rachakonda Police organized another Workshop where Traffic Police, 300 Auto and lorry Drivers were sensitized. They were taught about Human Trafficking menace and also trained in how to notice when Human Trafficking takes place. These people were given the responsibility in helping police in stopping human trafficking and if they are able to do so then an award will be given to them by Rachokonda police. In such a short time, Tharuni was able to organise Workshops to train and enlighten multi stakeholders and other organizations in Yadadri and Bhuvanagiri district. About 100 Officials from Departments of Women & Child Development, District Legal Services Authority, Police, Revenue, Transport, Child line and Welfare Departments were sensitized on this topic in an interface meeting held on 16th October 2018. Tharuni made a huge impact not only on the She Teams, but also People working in different Departments and the Public at large. The She Teams have already started to conduct classes on Human Trafficking as well as other issues in the areas. Tharuni distributed Small Booklets, and Posters on the issue during this project. 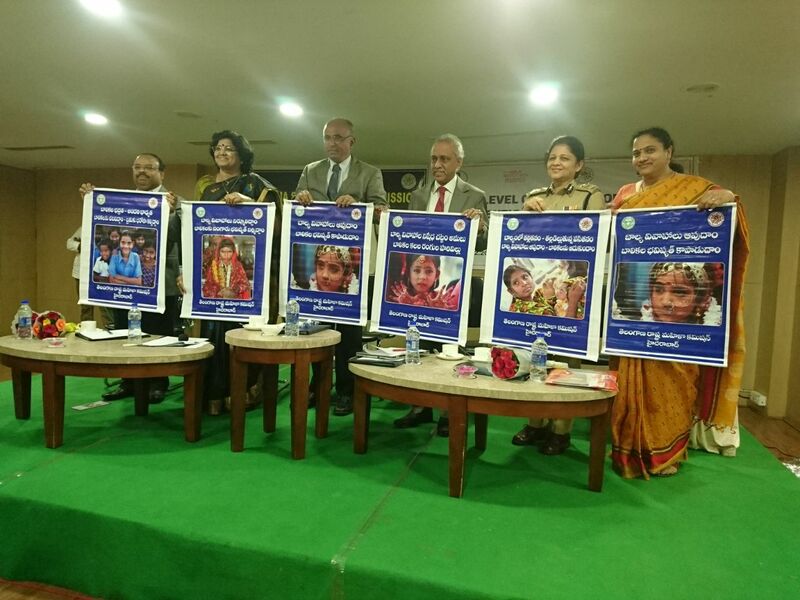 Tharuni Team Members, including its Founder Member Dr. Mamatha Raghuveer, British Deputy High Commissioner Mr. Andrew Fleming, Hyderabad, Rachakonda Police Commissioner Sri Mahesh Bhagavath had taken all the efforts to curb the menace of Human Trafficking in Yadadri - Bhuvanagiri district. The Police Department Officials and other officers from different Departments are trying their best to combat human trafficking.